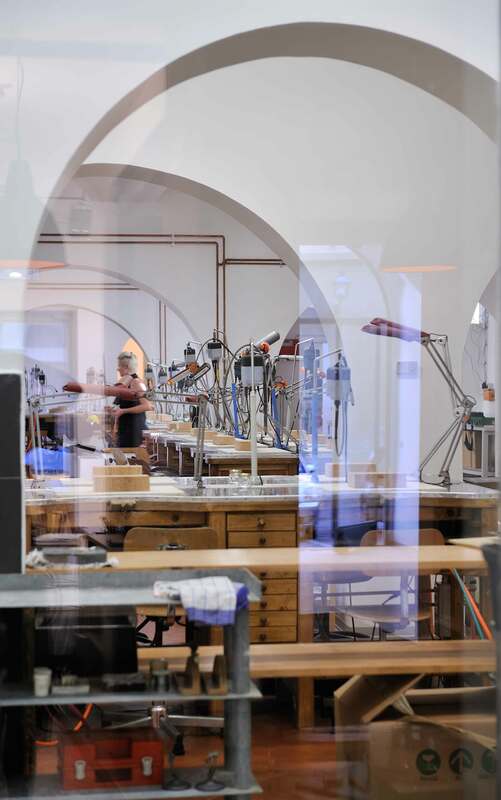 Jewelry courses take place in a laboratory in the historic center of Florence that introduces the world of jewelry and high quality artisanship. But why take a jewelry course in Florence? Because Florence has always been a famous high quality art and artisanship center, also in jewelry and goldsmith, as evidenced by the famous jewelers on the Ponte Vecchio and by the many museums. The jewelry section of the Museo degli Argenti in Palazzo Pitti contains treasures of silver, gold and precious stones that belonged to the Medici family, produced by the greatest goldsmiths artists in the world in the most important laboratories, from the XIII century to contemporary times. It is one of the most visited in Italy and all the artists who come to Florence cannot miss the chance to see it. - Timetable: Monday through Friday 9.00-13.00/14.00-16.00. - Students may start their courses any Monday during the entire year, but, as there are only eight available seats for short term courses, reservations must be made well in advance and availability confirmed. - Courses can be attended by beginners as well as by students who already know the subject and want to specialize or upgrade their skills. Programs may range from a sneak peek to a highly specialized professional training. - The weekly course schedule includes 30 hours of practical jewellery making for a minimum of 2 weeks and a maximum of 3 months. One teacher every 4 students. - Personal tools are provided by the school. - A personal bench is at disposal for the whole duration of the course. - According to the project established together with the teacher, non-precious metals as brass and copper, and other materials (resin or semiprecious stones) are included in the course fees, as well as 20/30 grams of silver every two weeks. Any usage of gold or any additional quantity of silver is to be personally bought by the student. - Students can stay at school according to the opening and closing time. - The pieces produced belong to the students at the end of the course. 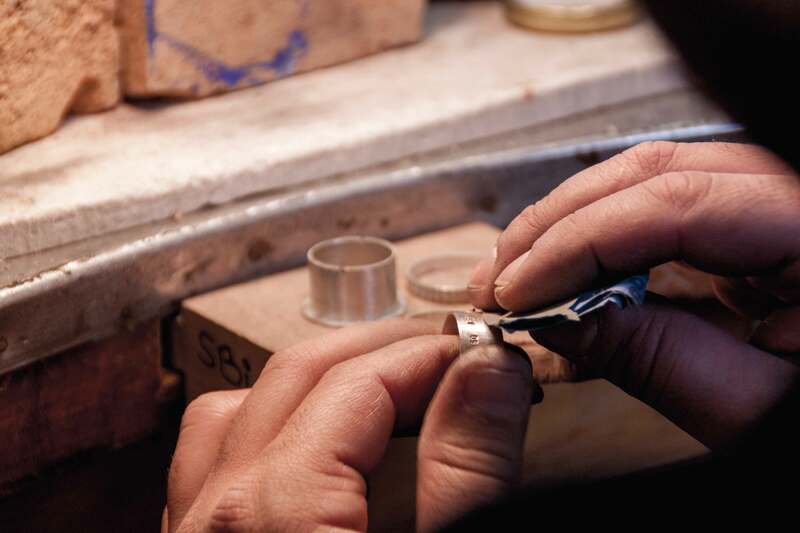 Since the number of students for the Jewelry course is limited, before sending an application it is necessary to inquire about the availability of the course in the period of choice. For this course it is necessary to pay a non-refundable 10% deposit of the whole tuition fee at the moment of the enrollment. The balance has to be paid upon arrival at the jewelry school. Since it is possible to give a personal structure to your own project based on your needs, interests or previous experience, the descriptions of the following courses are simply suggestions of what you could do. The proposed curricula function as guidelines is to be further discussed and finely tuned with teachers and staff to meet each student’s specific need. 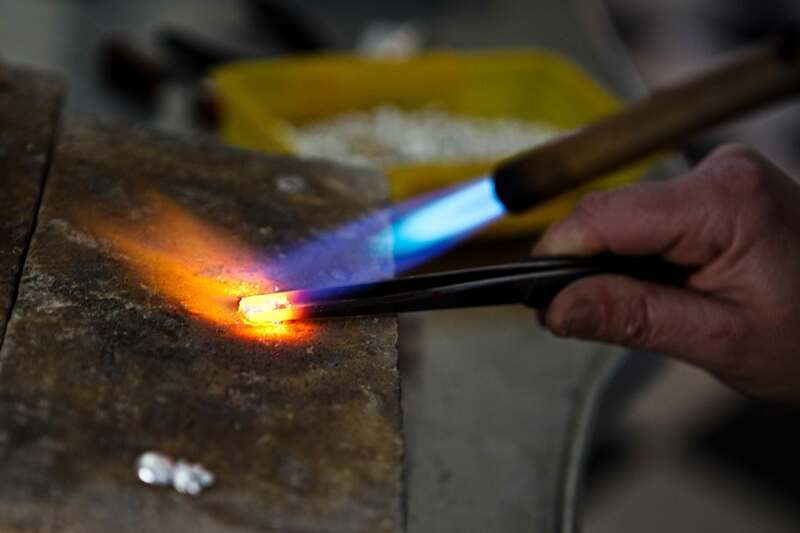 The goal of this course is to provide the knowledge and tools required to create a first collection of jewellery, using basic jewellery-making techniques such as: cutting, filing, soldering, shaping and finishing. 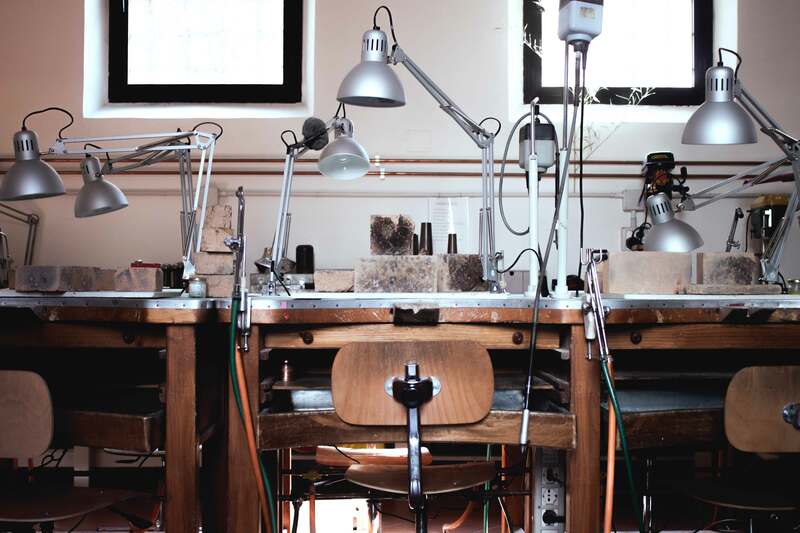 In addition to traditional techniques, students will be given the option to experiment with materials and techniques specific of contemporary jewellery. Advanced jewellery-making techniques, both classical and contemporary, with a focus on mechanisms, closures and hinges, hollow constructed rings/bracelets with collets for different cuts of faceted stones, use of micro-flame and welding. This program focuses on surface treatments and finishing techniques applicable to different metals such as copper, silver, shibuichi and shakudo. According to the specific properties of each metal, there will be exercises on hot gilding (Keum Boo) and cold gilding, patinas and oxidation, cuttlefish casting and impression on laminated plate. Epoxy resin is an extremely versatile material which is often used in contemporary jewellery-making. This program is focused on the creation of jewels or parts of it with different types of resins starting from the planning and construction of a mold to the actual casting process and the various techniques of enclosure, colouring, surface treatments and finishings. This program is focused on testing and exploring materials and forms. What happens to a form when the material changes? What tools and techniques are required to manipulate a material? The program is targeted on the creation of jewels and/or objects made with materials that differ from those used in classic jewellery. Unusual metals, plastic, wood, paper and textiles are selected, prepared and processed taking into consideration their characteristics and versatility, in order to design and create a collection of jewellery. Fabrics and precious metals seem to be total opposites, but despite their obvious differences they have similar properties, both are pliable and elastic, and can be stretched and manipulated. Metal sheet and wire are suitable for a numerous series of textile techniques as knitting, crocheting, weaving and interlacing. This program will introduce and teach the various appropriate methods to create jewellery. At first the basic techniques will be taught to then design and create a series of pieces. This course is designed to provide knowledge of precious metals and alloys. 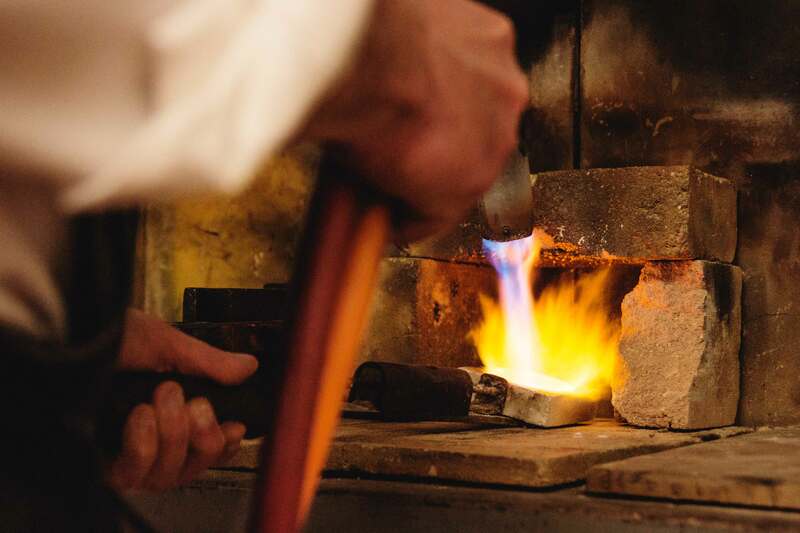 The properties of these materials will be studied and jewels will be created combining different metals such as: silver, gold, iron, corten steel, copper, brass, shibuichi, shakudo and tin. 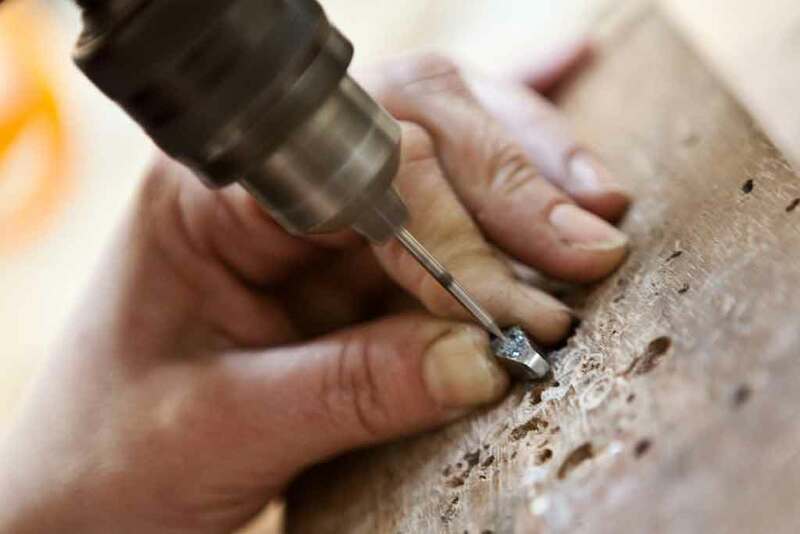 Particular attention will be given to practice the specific soldering techniques and to the study of hot joining (welding) and cold joining (rivets).